The Farrell Law Group represents clients in Toronto and throughout the Greater Toronto Area, York Region, Durham Region and Halton Region. This includes the cities of Oakville, Burlington, Mississauga, Brampton, Woodbridge, Richmond Hill, Markham, Vaughan, Oshawa, Ajax, Whitby, Pickering, Newmarket, Aurora, Kingston, Guelph, Wasaga Beach, Collingwood and Blue Mountains. Your health and peace of mind are our foremost concerns, and we understand that you are the most important member of our team. If we can assist in the recovery of your function and wellness such that your life is back in order, that is worth more than money. Furthermore, you are not a "case" or a number to us, but an individual deserving of our respect. We select the clients we represent and take on only a few claims at one time, so we can focus all of our resources and energy on recovering compensation for you. We will take time to explain your rights, the process, possible risks and how your claim assessment is likely to be calculated. You will work directly with our lawyer at all times, who will answer your questions in clear terms and communicate all important developments to you as they happen. From the first time you call us until the conclusion of your case, we seek to ensure you are comfortable with every step in the process. Since 1982, lawyer Guy Farrell has provided no-nonsense, client-centered legal advice and litigation services focused exclusively on injury and insurance claims. Because of this, our firm is well-connected to top-class medical and rehabilitation specialists, accident reconstruction engineers and other consulting experts who will help in the investigation and preparation of your case. There are many personal injury firms in Toronto and the Greater Toronto Area. 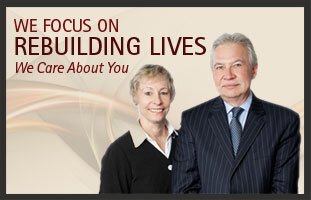 At Farrell Law Group, we don't simply focus on obtaining compensation for you — we focus on rebuilding your life. Talk to us about how we can help you. Call 416-487-7300.